- Push Button Activated - No Timers! - Glow in the Dark Football with LED Lights! 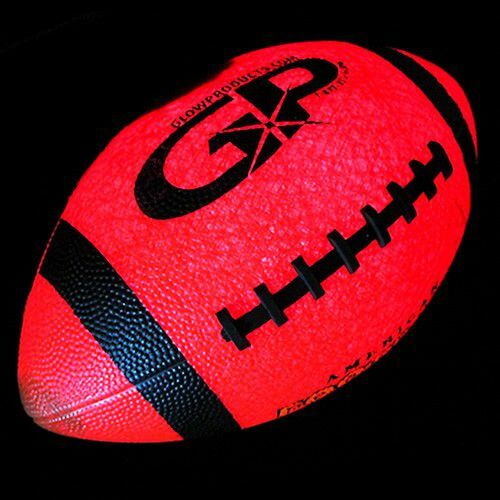 The Light Up LED Glow in the Dark Football is an official size and weight LED Football and is made of durable, tough rubber that is easy to grip and catch. The Glowing Light Up Football uses LED light technology so it doesn't have to be "re-charged" in the light like a traditional glow in the dark football and is considerably brighter! 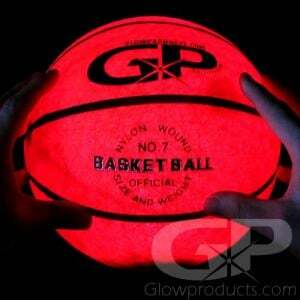 Don't spend all day "charging" your ball in the light hoping that it will glow for just a few minutes later that night! Our LED Light Up Football is push button activated so you can use it during the day as a normal football without the worry of draining the batteries and once the sun starts to go down you can activate the ultra-bright internal LED lights to keep that game going! 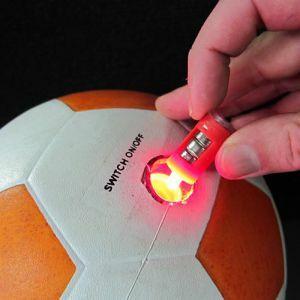 GlowProducts.com Light Up Footballs are push button activated - simply push the button to turn the ball on and it stays on - no kick-activation timer that might turn off on you - it stays on until you turn it off! Just Push the Button and Play! 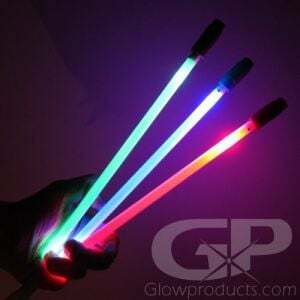 The batteries are replaceable so you can use your Light Up Glowing Football again and again! Each LED Football comes with an additional LED and battery insert plus the AG13 batteries are replaceable. LED Footballs use red LED lights that glow a bright Orange through the surface of the glowing Football. Instructions: Click the power button in and watch your glow football illuminate! 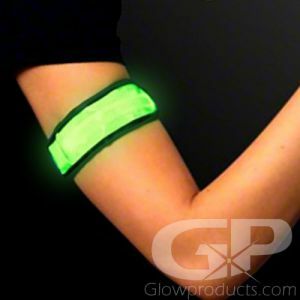 Included with each Glowing Football is an additional LED light and battery insert. Twist and unscrew the button portion of the LED ball and replace the existing insert with a new one. The Batteries in the LED Insert are also replaceable so you can continue using the same LED inserts indefinitely. 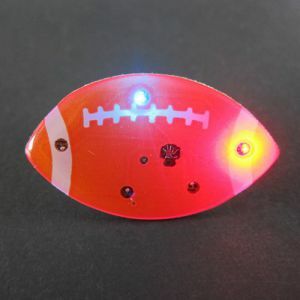 The LED Football is a North American official size & weight football.